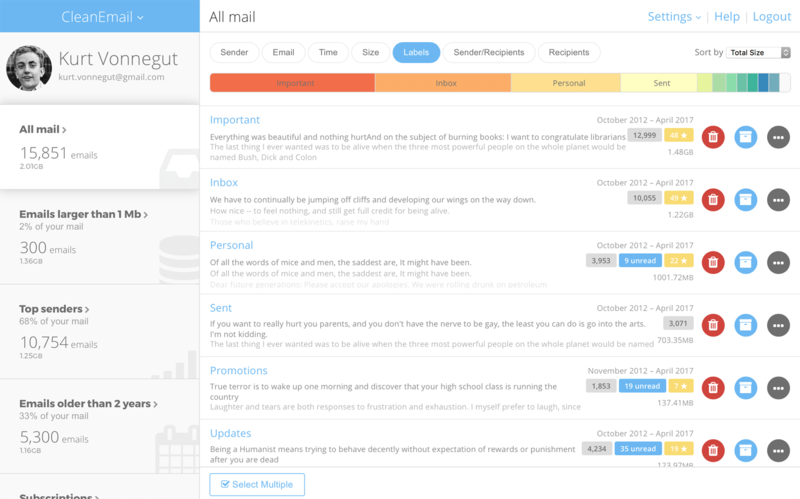 Clean Email is an online bulk email cleaner that empowers you to take control of your mailbox. It relies on powerful rules and filters you can define to efficiently segment your mailbox into relevant groups, allowing you to quickly identify useful and clean up useless emails with a few clicks. Quick Clean combines emails from all over your mailbox into a single screen with easy-to-select actions to be applied. Clean Email segments your mailbox using rules and filters. Clean Email can support any workflow of your choice – move bundles of emails to Trash, Remove, Archive, Apply Labels, Move between Folders, Unsubscribe from unwanted emails and Block unwanted recipients. Use "Smart Unsubscribe" and "Block" to make sure that newsletters, unwanted subscriptions, and other unwanted emails will not show up in your mailbox. 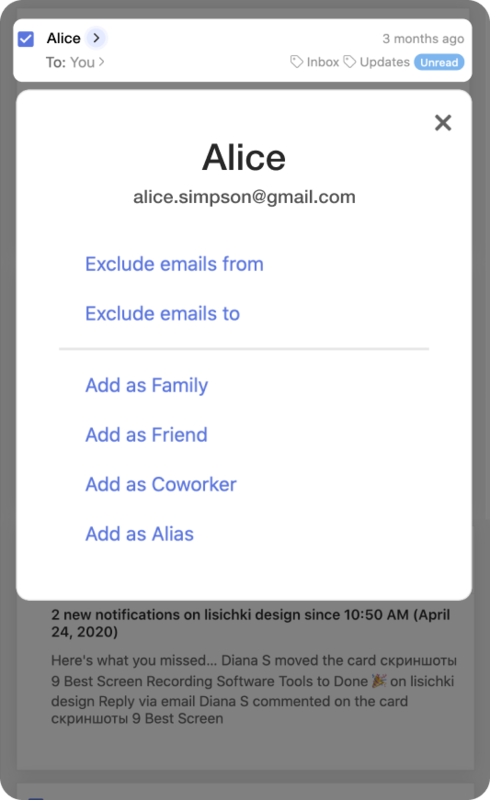 You can setup Clean Email to apply selected rules and actions to emails arriving to your mailbox. For example, archive and mark as read all social network notifications and get a daily summary to go through what you skipped. 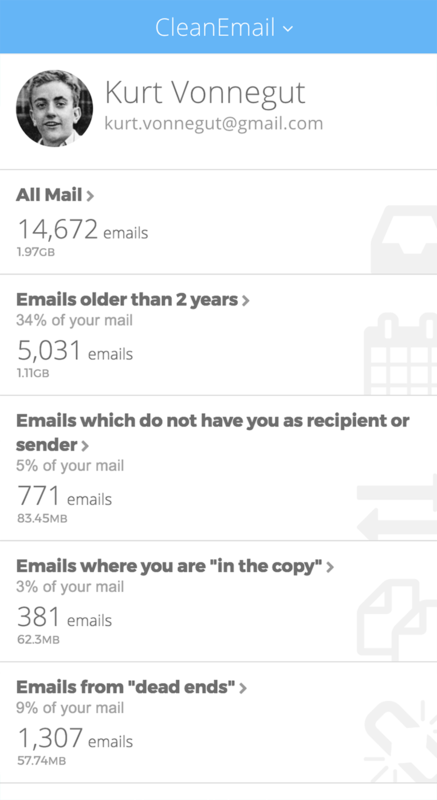 You can also define what types of emails you think important in the 'Protected', the 'Friends and Family' lists and the 'Coworkers' sections, further improving the engine and saving you more time. 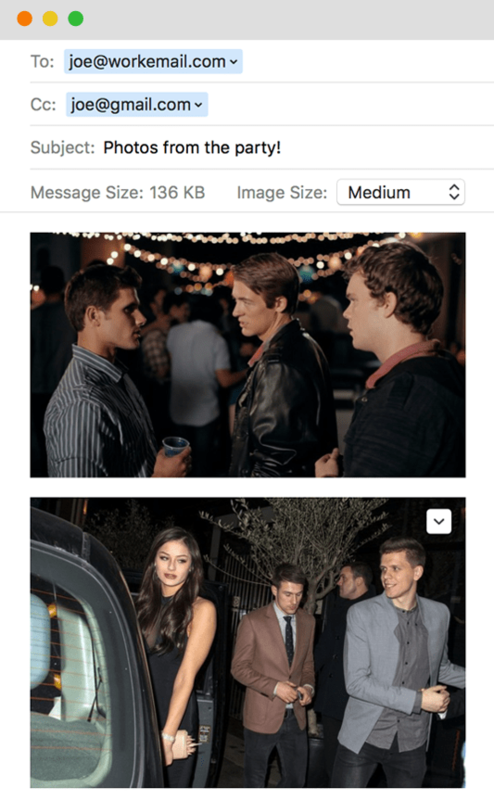 If you are using multiple email accounts or aliases, you can make the email cleaner app engine even smarter and save even more time by instructing Clean Email to capture and group all emails send by you and to you by addresses that are directly associated to a specific mailbox. Add a single address, - example@gmail.com, or a whole domain - @domain.com, and Clean Email will do the rest. Moving, deleting, and unsubscribing from emails in email clients or web interface is very slow and limiting. Clean Email is the best email cleaner app and is able to remove thousands of emails by directly communicating with your mailbox "server-to-server". No need to download everything to your phone or desktop anymore, move to trash and delete page by page. Clean Email is, and will remain in active development. Our team works hard to change the way we do emails, and with every new development in online technology, Clean Email is improved too, so YOU get to enjoy the most powerful email cleaning solution.